A central element of the HWBOT World Tour is the idea of spreading the word of overclocking to each and every corner of the globe. To that end all PAX AU attendees are invited to join us for free Overclocking Workshops. 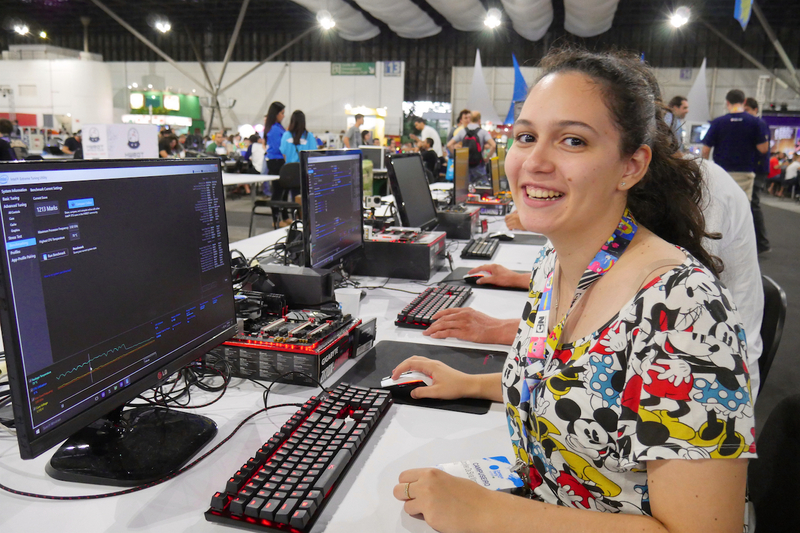 Systems with the latest 8th Generation Intel® Core™ processors will be set up at PAX AU with seasoned overclockers on hand to give you expert tuition. Once you have learned the basics of how to tune the PC to improve performance, it’s time to get hands and try it for yourself. After making a few scores using the Intel XTU benchmark, you can then submit it to the OC-ESPORTS competitive platform. If you are among the highest four scorers, you will invited back to compete in 1v1 Semi-Final and Final matches. The eventual winner will win some fantastic prizes and be crowned Melbourne 2017 Ambient Winner. All Melbourne 2017 Overclocking Workshops are free for all PAX AU 2017 attendees. Simply sign up for a workshop session at the event. The Overclocking World Championship Melbourne 2017 Qualifier contest is open to all overclockers in possession of an LN2 ticket (see below). The contest starts on October 28th with overclockers given 3 hours to score as highly as possible across three benchmarks. The top four will invited to compete in 1v1 Semi-Final and Final matches on October 29th. The Overclockers Gathering is a place for overclockers to meet and enjoy overclocking together in a relaxed environment with unlimited access to LN2. The event is a BYOC (Bring Your Own Computer) event. To take part you need to purchase an LN2 ticket (see below). The LN2 ticket also includes a chance to participate in the Overclocking World Championship Melbourne 2017 Qualifier (see above). To compete in the OCWC Melbourne 2017 Qualifier contest you must first purchase an LN2 Ticket. LN2 Tickets include a chance to compete in the OCWC Melbourne Qualifier contest, a seat at the Overclockers Gathering and access to unlimited LN2. HWBOT and leading Australian overclockers from the respected Elite overclocking team TeamAU will be heading a PAX AU Panel to discuss the latest multicore platforms. These new processors feature up to 18 cores and offer unparalleled performance. However they also present enthusiasts and overlockers with new challenges. The panel will also include a live demo with an 18-core system pushed to the limit using LN2. 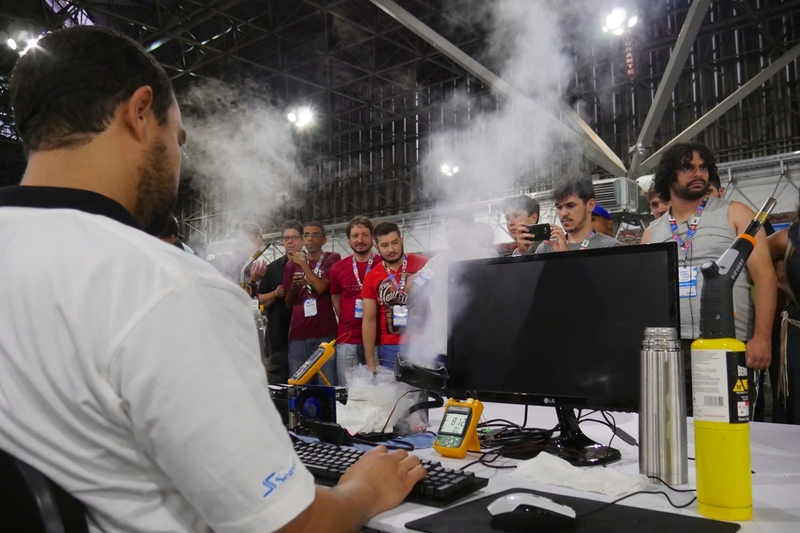 As with many of the world’s most exciting overclocking events, Intel are making a massive contribution. All Melbourne 2017 overclocking workshops and contests will use the latest 8th Generation Intel® Core™ processors. As official Power Supply partner of the HWBOT World Tour 2017, the latest Seasonic Snow Silent 750W PSUs will be used to power all Overclocking Workshop systems at PAX AU. AORUS is generously providing AORUS Z370 Ultra Gaming motherboards for the Overclocking Workshop stations as well as GIGABYTE Z370 SOC Force LN2 motherboards for the OCWC Melbourne 2017 Qualifier contest. All CPUs used in the overclocking workshops and the Ambient Melbourne 2017 contest will be cooled by Alphacool Eisbaer 420 AiO CPU Coolers. These uniquely modular coolers can be upgraded, rebuilt or refilled at any time and bring efficient cooling for your processor, no matter how hard you push it. OCWC Melbourne 2017 Qualifier: Rules and Hardware Confirmed Win Prizes from Seasonic and Alphacool, Enter the Melbourne 2017 Giveaway!